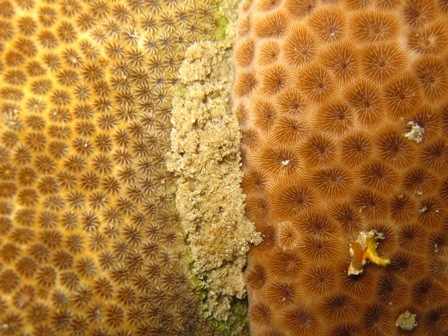 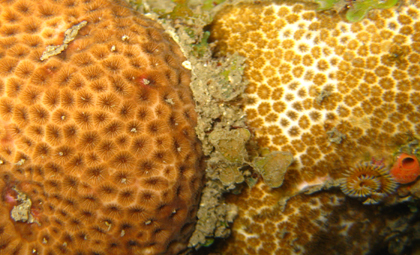 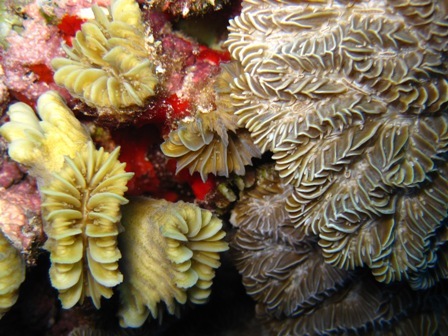 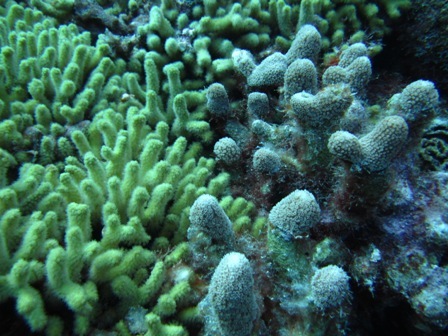 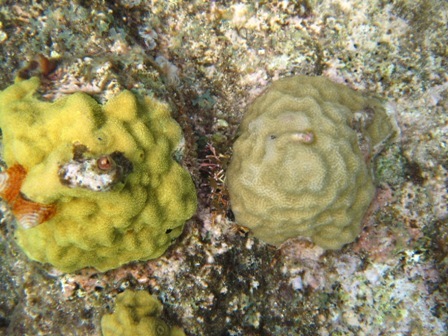 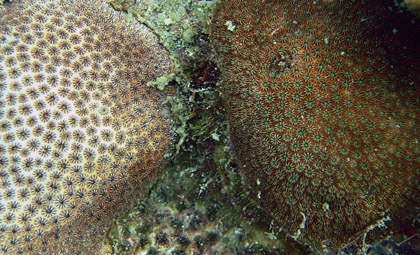 This set of pictures aims to show the differences between coral species that are often “mistaken” for one another. 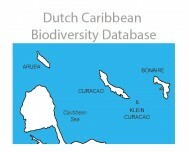 Because terminology to describe each species is often subjective (i.e. 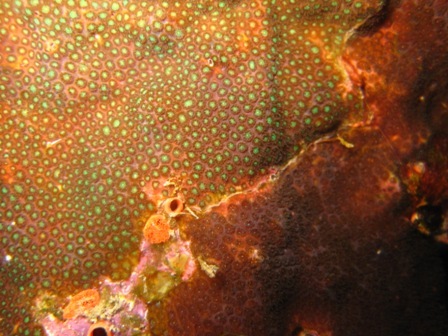 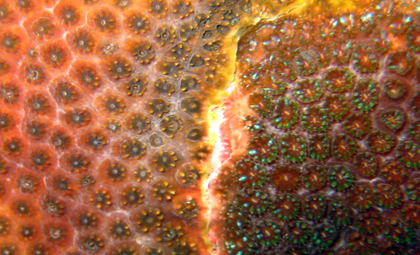 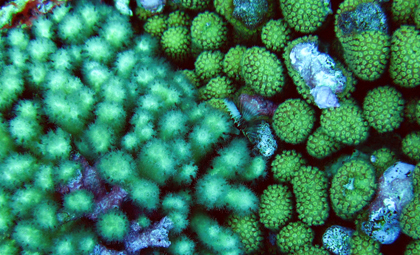 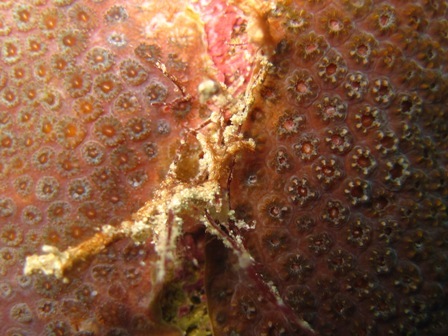 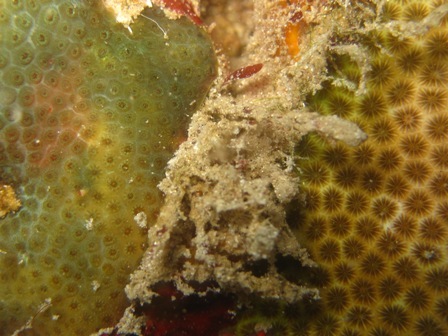 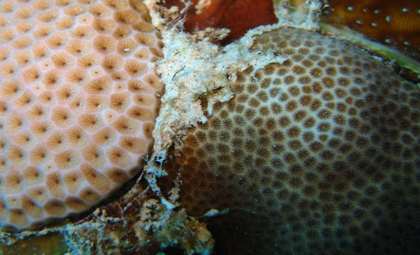 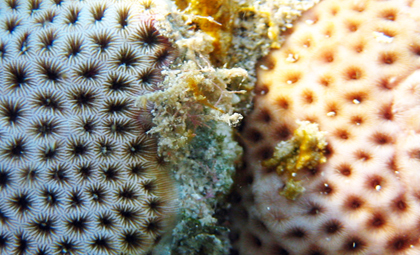 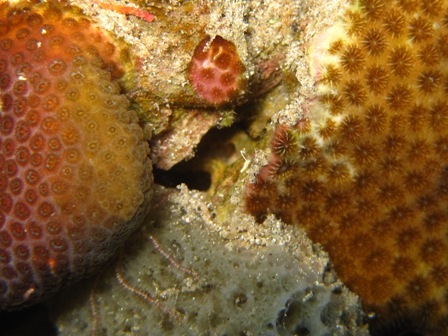 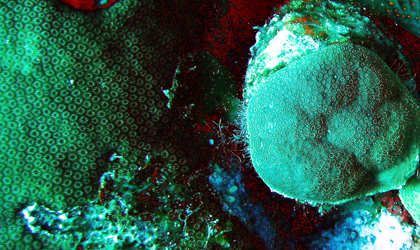 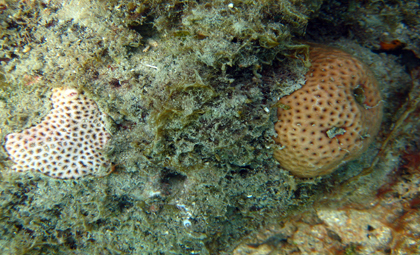 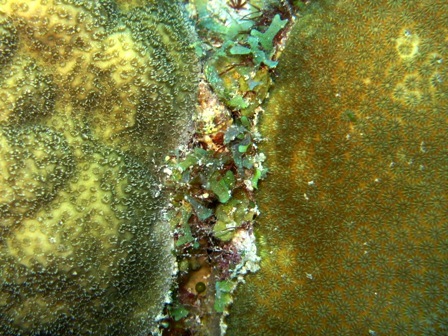 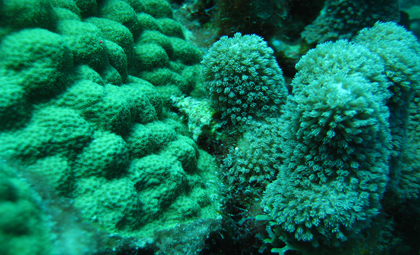 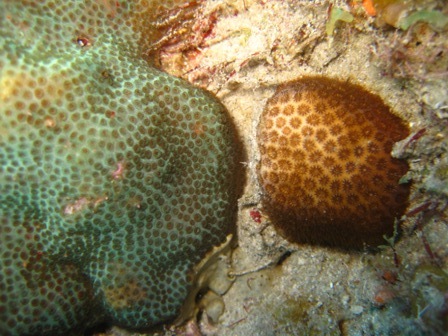 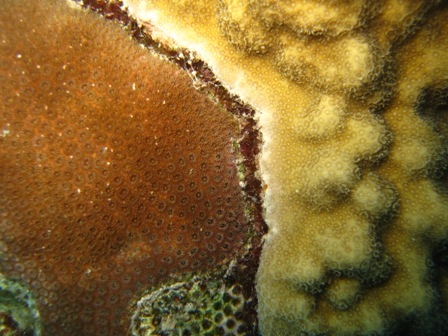 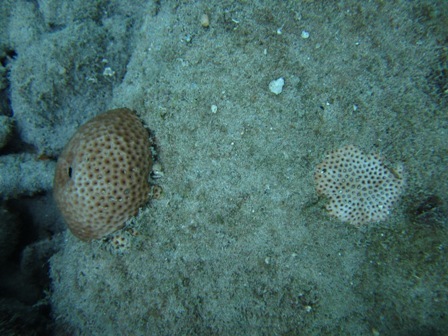 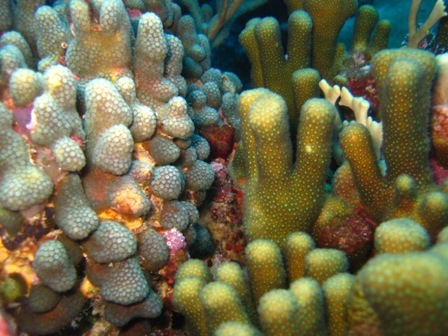 has larger polyps or smaller ridges) having both species in one picture might help to get a better idea of how such closely related/ similar looking “species” can be distinguished from one another. 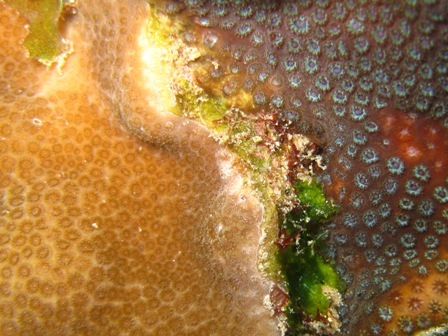 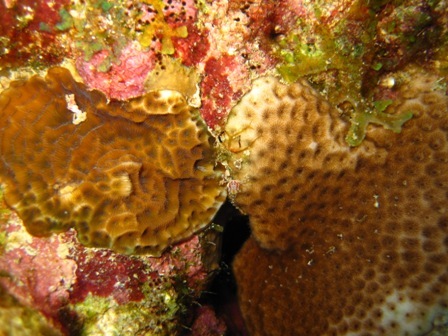 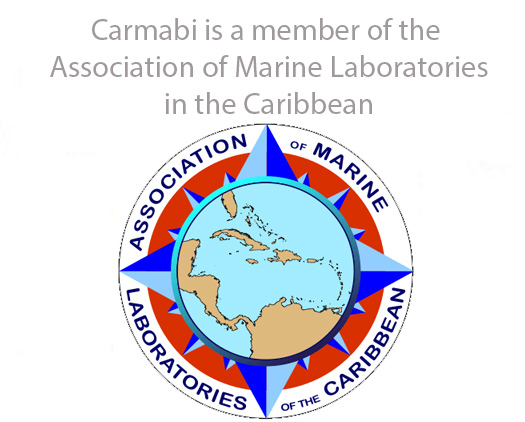 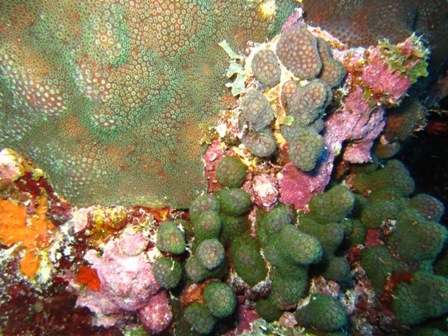 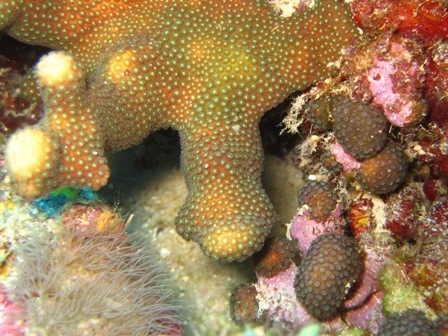 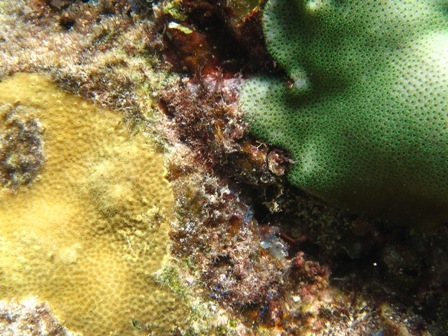 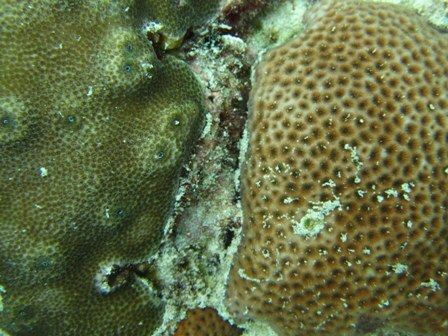 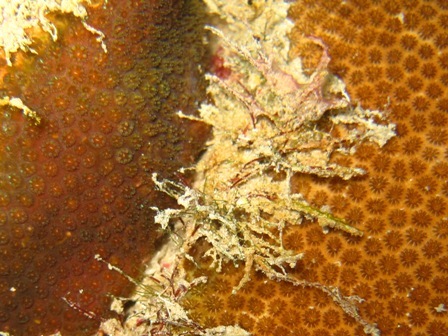 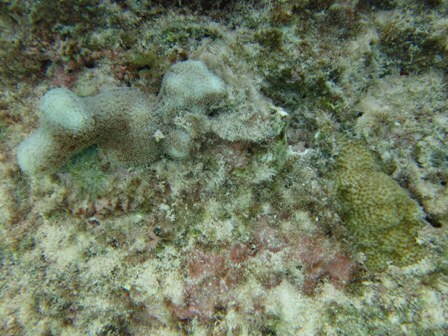 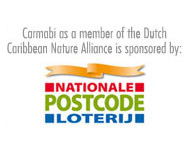 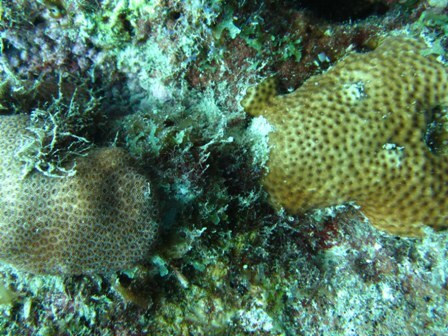 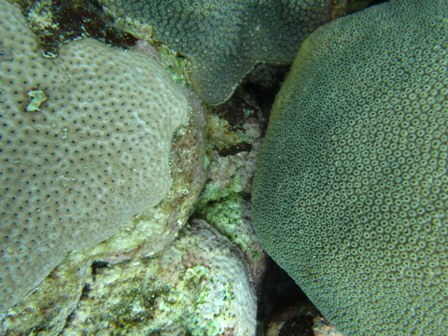 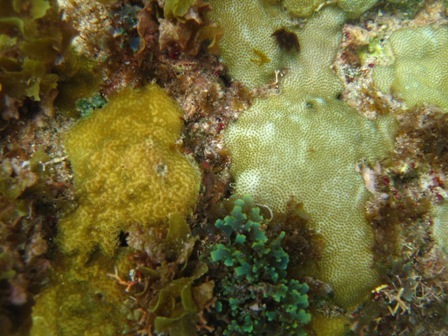 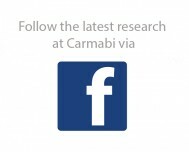 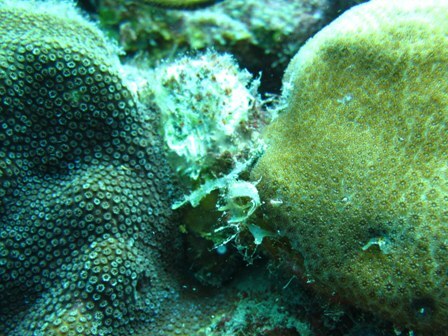 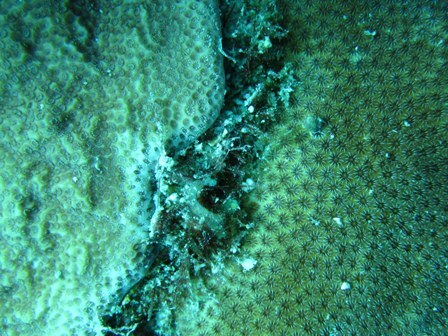 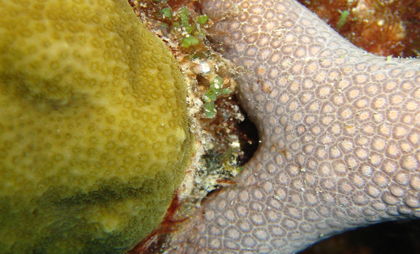 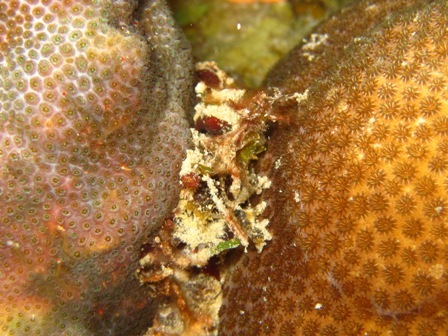 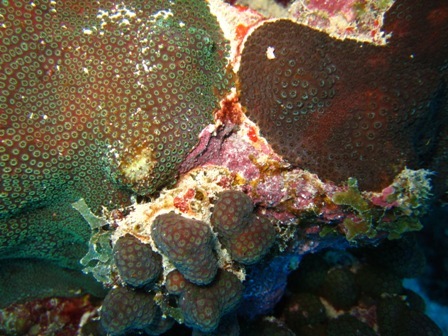 Be aware that for the purpose of this page, we use the “conversational species concept”, which is simply intended to describe the variation that exists in morphological features of Caribbean corals around Curacao.